Arrow Video re-releases two of their offerings from The Herschell Gordon Lewis Feast multi-film boxed set with Color Me Blood Red, and as a sub-feature, Something Weird. While the former is about a mad painter who kills people for their blood to paint with, the other is about a man who develops extrasensory perception after a tragic accident that leaves him scarred, but after getting involved with a witch, his face returns to normal and he is used by the police to catch a killer. 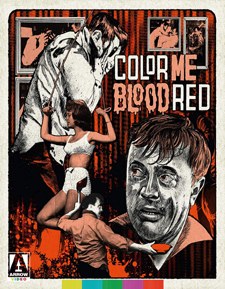 Preceded by Blood Feast and Two Thousand Maniacs!, 1965’s Color Me Blood Red is the third in Lewis’ Blood Trilogy. It has a lot in common with many films of the 50s, 60s, and 70s which dealt with insane artists who were willing to kill for their creations. In this case, our lead, Adam, is willing to murder for the blood he needs in order to paint his masterpieces. Although it has a tendency to be sluggish (like most H.G. Lewis films), Color Me Blood Red is one of his more entertaining efforts, and might actually make for a great double feature alongside Roger Corman’s A Bucket of Blood. Although it showcases only a couple of gory moments, it’s a bit on the lighter side, making it a nice primer for Lewis’ work for those who’ve yet to see any of it. Two years later, Lewis would venture forth with one of his more experimental (no pun intended) films Something Weird. While it was certainly different for its day and doesn’t really feature much of the bloody mayhem that Lewis is primarily known for, I find myself to be not all that enthused by it. I’ve seen far weirder films, meaning that the title didn’t really live up to expectations. That said, there are still some oddball sequences, including an LSD-induced ESP nightmare, a wanton old witch who is in a constant state of hysterical laughter, and some really, really poor performances – although judging the acting talent in a Herschell Gordon Lewis movie is like complaining about a dirty spoon at a soup kitchen. Regardless, it’s a trippy film, but your experience with other things that are labeled as weird may be crucial to your enjoyment of it. For Color Me Blood Red, the source is unknown as it isn’t provided in any accompanying opening text or insert booklet. It looks to be of the same ilk as the many other films from The Herschell Gordon Lewis Feast boxed set, which is to say almost all print-sourced. Even so, it’s a solid presentation, more so that many of the other films from the set. It’s cleaner and less riddled with leftover damage, although some of it is still present, such as speckling and flicker. Stability and color are both good, the latter showing off some bold primaries and natural skin tones. Overall brightness is strong and blacks are fairly deep. In other words, there’s not a whole lot to complain about with this one. The following text appears before Something Weird begins: "Something Weird has been exclusively restored for this release by Arrow Films. The film was restored in 2K resolution from a 35mm print, as the original negative has been lost. Because of the extensive damage to the materials, there remain numerous instances of scratches and dirt throughout this presentation. There is occasional loose audio sync but this is as per the original source materials." As poor as it’s described, this transfer isn’t so awful that it can’t be enjoyed. It’s full of these problems and more, including color fading, frame damage, lines, scratches, and changeover cues, but it still appears organic, even if it is sourced from lower grade elements. 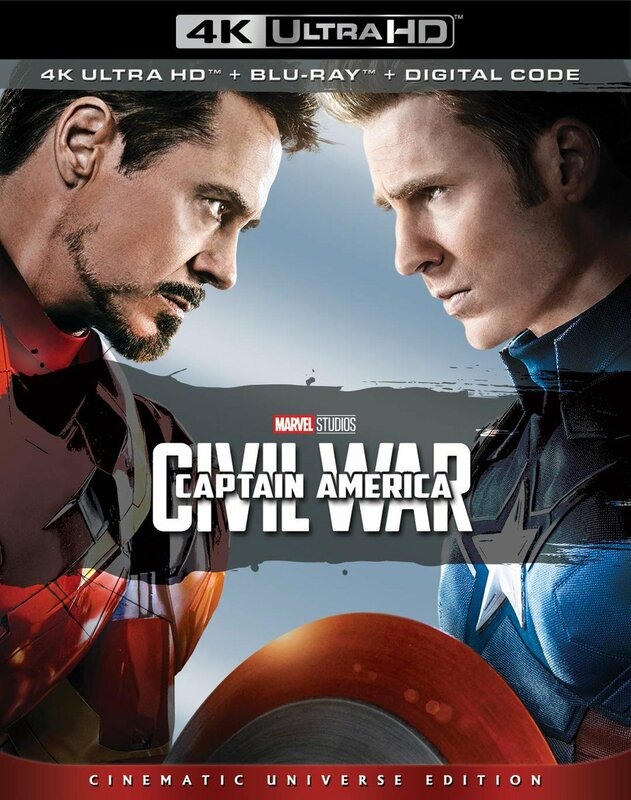 The audio for each film is presented as an English mono LPCM track with optional subtitles in English SDH. Both are narrow presentations with only decent dialogue and score reproduction, but also contain many of the same weathered element problems as the video portion, including crackle, hiss, distortion, and dropouts. Color Me Blood Red is actually the cleanest and clearest of the two with the least amount of problems, but it’s by no means perfect. Extras for this release include an introduction to each film by Herschell Gordon Lewis; an audio commentary on each film with Lewis and producer David F. Friedman; The Art of Madness: Artists as Murderers in Film, a new 6-minute visual essay by David Del Valle on the recurring motif of mad artists as killers in horror cinema; Weirdsville, an 11-minute interview with film scholar Jeffrey Sconce about Something Weird; H.G. Lewis on Jimmy, the Boy Wonder, a 2-minute discussion with the director about his 1966 children’s musical; A Hot Night at the Go-Go Lounge!, a 10-minute short film from 1966 that is presumed to have been directed by Lewis; a 10-minute set of silent outtakes from Color Me Blood Red; and a promo gallery featuring trailers for Color Me Blood Red, Something Weird, and Jimmy, the Boy Wonder. Not carried over from the Something Weird Video DVD and Image Entertainment Blood Trilogy Blu-ray releases is an animated photo gallery. Arrow Video’s treatment of Herschell Gordon Lewis’ body of work is to be commended. Despite not being armed with the finest film elements available, they’ve still managed to cull together watchable presentations and secured Lewis’ films for the future, regardless of my critiques of them. If you’re like me and you couldn’t afford to fork over upwards of $300 for the aforementioned Feast boxed set, this is another great disc that’s a little easier on the ole wallet, and there are at least one or two more to come.